I've just heard a rumor from a fairly credible source that Kobo's new hardware is going to launch sooner than we expect. Riccardo Palombo of HDBlog.it reports that his sources are saying that Kobo will be announcing two new ereaders this spring, possibly before Easter (5 April). He reports that both the Pika and Alyssum are coming. Update: I have confirmation from a second source. The Pika is said to have a screen resolution of 800 x 600, a touchscreen but no frontlight, and basically be an updated version of the Kobo Touch (which not so coincidentally is out of stock at Kobo's website). The Alyssum is described as a $149 Kindle Voyage competitor with matching screen resolution (6", 1072 x 1448) and quality. It should have a frontlight and touchscreen, but I don't have any other solid details. If that price is correct then the Alyssum is going to cost just $20 more than the 2 year old Kobo Aura, and $30 less than the Aura H2O. Curiously, the latter device is out of stock right now, but I wouldn't read too much into that detail. No one is expecting that device to go away, not when Kobo has little competition for the 6.8" screen. All in all, these rumors are nifty, and they fit with the technical details which had already leaked. But at this time there is still no FCC filings or other concrete leaks to prove the existence of the upcoming rumors, so I am taking them with a grain of salt. If correct, I don’t have much interest in the “Pika” but if “Alyssum” really does retail for that price I could see myself being very tempted into buying one even though I already have a H2O. I find it a little sad that Kobo couldn’t find a sizable market for the Mini, as an upgrade on it’s former 5″ reader would have been fantastic. I mourn the Mini as well. I’ve owned one for a couple of years and I dread the moment that it coughs and gives out. Looking forward to whatever Kobo releases. 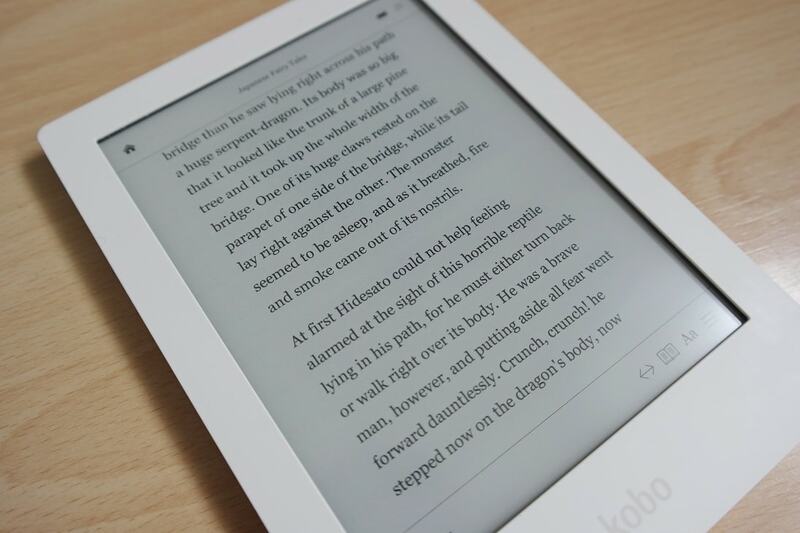 Kobo has the best-looking eReaders in my opinion. A pity they don’t make tablets anymore. However, what I’d very much like to see is an update of the Aura H2O with Bluetooth and an input pen. Or that with a larger screen of eight inches or somesuch. Netronix has that device finished. There’s no evidence that Kobo is going to use it, but I’d like to see it as well. It had a couple different touchscreens (capacitive and Wacom) and it was nice to be able to switch between the two. Wow, Kobo…haven’t they gone out of business yet? Why should they go out of business…? Obviously Kobo is still in business. Don’t be sush a troll. Dunno, Jason – I’m using my real name and supplying a link to my site. Does that qualify me as a troll? I think your standards are too high, honestly. In the US, the Kindle has 2x as much in the eReader market share. However, in Canada the Kobo has 2x as much in the eReader market share than Kindle. (although probably the US has a much greater share if compared). Kobo is also ahead of the Kindle in Europe and Japan. They have a strong presence in Japan because Kobo (although a Canadian company) is owned now by a Japanese company. There’s no info on a replacement H2O. Netronix showed Kobo Android powered 13.3″ flexible E Ink reader and 9.7″ too. Why do they bother if nobody wants to sell these larger readers? Nathan might run some poll if there’s any interest. Perhaps because the Netronix engineers love the gadgets as much as we do. According to HDBlog.it, the Alyssum will be a 6 inch device. Yes. I thought that was implied by the Kindle Voyage reference. Some of us, and I know that we are the vast minority, don’t have a clue about Amazon’s eReaders. Okay. I’ll fix the post. Interesting to see what page-turn sensors (if any) the Alyssum comes with (HDBlog.it seemed upbeat on the possibility) and whether you can install Android on it. If positive on both points, it may become my next eReader. I would like to know if the new kobo will be only touch or will have physical bottoms. After bought voyage my Aura is retired, the bottoms do a huge difference during reading. I wonder what the availability will be like on the “Alyssum.” Since the Kindle Voyage is seldom in stock, they still seem to be having supply issues, and yet this new Kobo uses the same screen? Does that mean the new Kobo will also be perpetually out of stock? The Voyage isn’t entirely out of stock. You can buy the 3G model right now. Sigh, still no word on the ereader I’d have wanted as a young boy—a ruggedized, water-resistant, and jeans-pocket-sized reader with few frills. When I was about ten, my favorite reading spot was high up in an oak tree. I want an ereader for just such a spot. All today’s ereaders are made for adults, who often whine and fret that, “kids aren’t reading as much as they should.” The lack of an ereader made just for them is one reason why. I’m not sure that this would help. For me, an eReader is a good way of feeding an already-developed reading habit, but I can’t see one developing that habit in the first place. I think that require the sensory stimulation of bookcases of books, cover art and (at least initially) illustrations. A physical book is something that grabs a kid’s curiosity, in a way that a file on an eReader can’t. Almost Easter. I’m still curious, but no announcement from Kobo so far.